After watching Ingrid's GIY (Glam It Yourself) video, on how to make this really cute glitter makeup brush holder, I couldn't wait for my candles to burn up so I could use the glass container to make one. With a few changes on how to get rid of the wax I found it faster and easier to make these and wanted to share that with you. 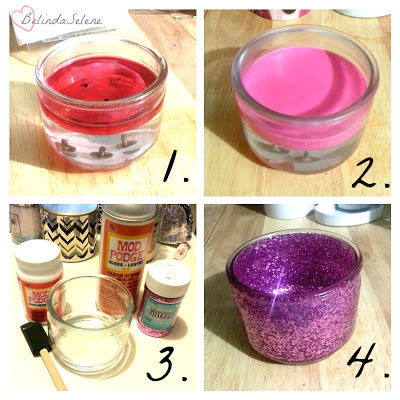 After burning up a candle here are a few steps to make this. Heat water in a cup in the microwave for two minutes and pour in glass container. After poring the water in the candle holder, put the container in the freezer for 20 minutes. Once the wax has cooled easily remove the wax and wicks. Wash the container for any residue and remove labels. With a brush add a thin layer of gloss Mod Podge, add glitter, and for extra security add a transparent sealer. I got all of these supplies from my local Walmart. Wait several hours for it to completely dry and then it's ready to use. Make sure when you apply the Mod Podge that you use a very thin layer, otherwise it can take days to dry. Adding boiling water in the candle will cause the candle wax to float to the top as well as the glue from the wicks. It takes less then a minute and it's fun to watch hee hee. If there are any spots that you missed with glitter after it has dried, you can add another coat of Mod Podge and glitter. I love Ingrid! 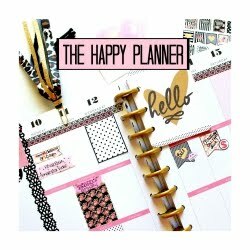 Make sure to check out her YouTube channel, MissGlamorazzi, for more GIY videos. I hope my little tips helped. I have already made two of these as gifts! Presentation means a lot to me. I love to be surrounded by all things pretty even if it's only for my eyes. A year ago I came up with the idea of displaying my brushes like this. I often spend my time on my vanity. This is another part of my room that makes me so happy every time I look at it. Not only are there some of the beautiful gifts given to me by people that I so dearly love, but the mono chrome colors really catch my attention. 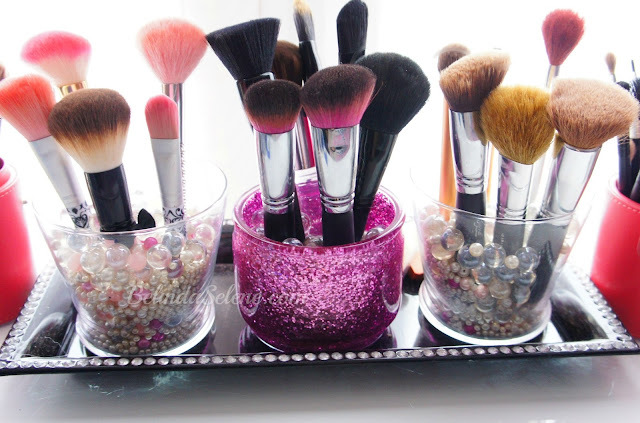 I love how you displayed and made the makeup brush holder but do you think there is a mote creative and unique way to do itt? ?